Every person wants to make their home beautiful. During that process, most of us neglect a very important part of our house which is the bathroom. But, you don’t need to worry as we have got you covered. 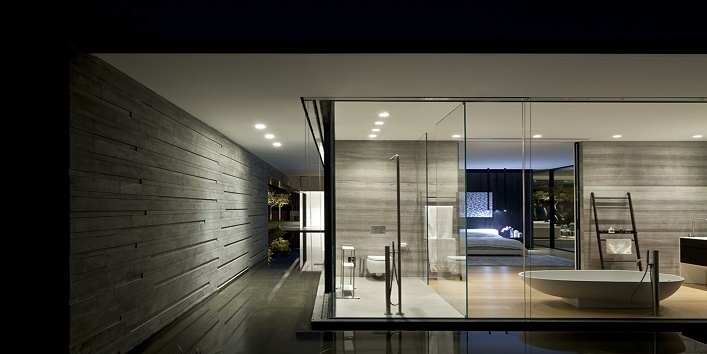 Today in this article, we have shared some simple tips to give your bathroom a quick makeover. The best way to upgrade your bathroom is by making changes in your interiors. Like adding a water fountain. This simple feature can make your bathing experience better, and also, adds an interesting feature to your bathroom. Who doesn’t like the sweet and fresh aroma of flowers? Well, you can also use them to add a new look to your bathing area. Besides this, the potted plants not only freshen the air but also survive well in the bathroom because there is no lack of moisture. 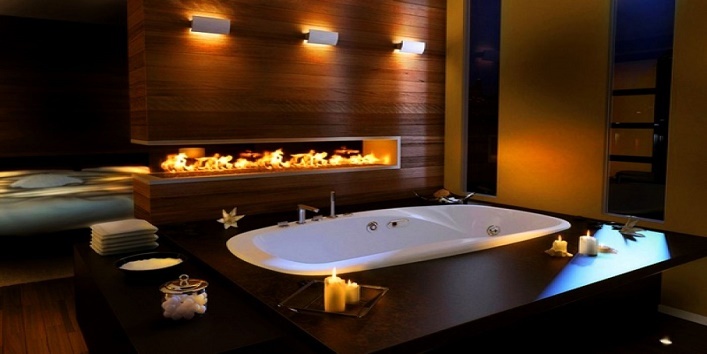 Another way to add sweet fragrance to your bathroom area is by lighting scented candles. 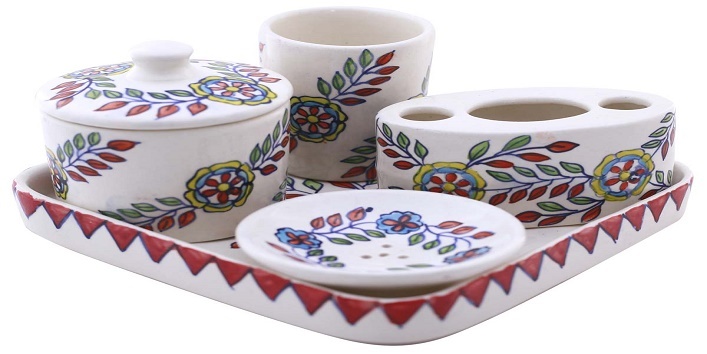 Place them around your bathing area and enhance your bathing experience. 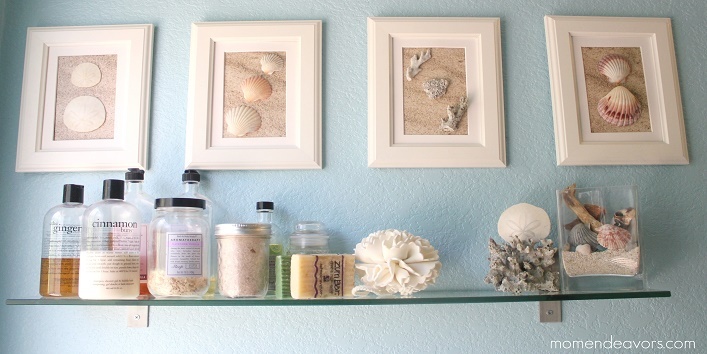 You can even decorate your bathroom by using shells, which gives you a spa-like experience. Just spread some shells in the bathing area with some candles and flowers and enjoy the beautiful ambiance. 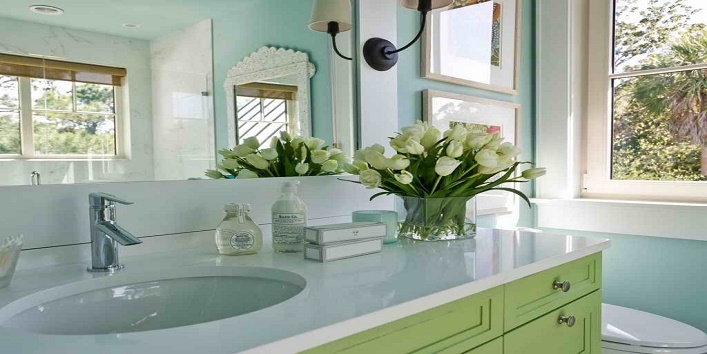 Add color to your bathroom by opting for colorful containers for storing soaps and other bathing products. Trust us they look great as a display. By adding this simple feature to your bathroom area not only helps in keeping your things at place but also makes it look good. 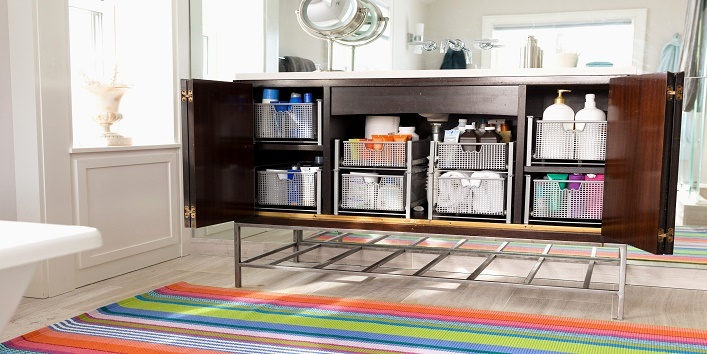 Who does not want to have an organized bathroom! So, these were the few tips to give your bathroom a quick makeover.